These Peppermint Brownie Bite Cookies are sure to become a family favorite! They make great gifts too! Everybody loves brownies, right? Brownies are definitely a favorite in our home. With Christmas coming soon, I thought it would be fun to make brownie bites with a little twist…peppermint twist that is! These sweet little Peppermint Brownie Bites are sure to be a Holiday favorite! They are in the form of a cookie, which makes them easy to eat, and fun to make too! Huge thanks to The Hershey Company for making Hershey’s Kisses Candy Cane Mint candies!!! You will find the recipe below! Brownie Bites right out of the oven. I like to take a bottle stopper and make a little nest to hold the peppermint while the cookies are still warm. Dust with a little confectioner’s sugar. Place Hershey’s Kisses Candy Cane Mint candies in the middle and enjoy! 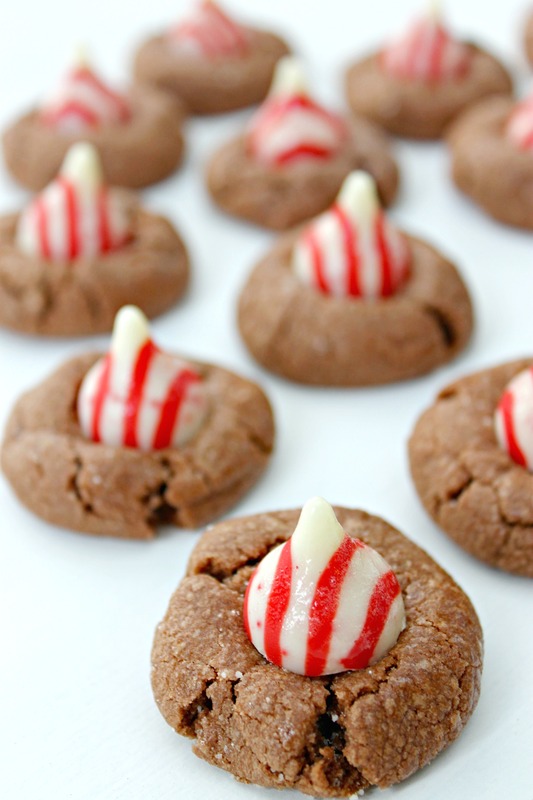 These Peppermint Brownie Bite Cookies are sure to be a Holiday favorite! 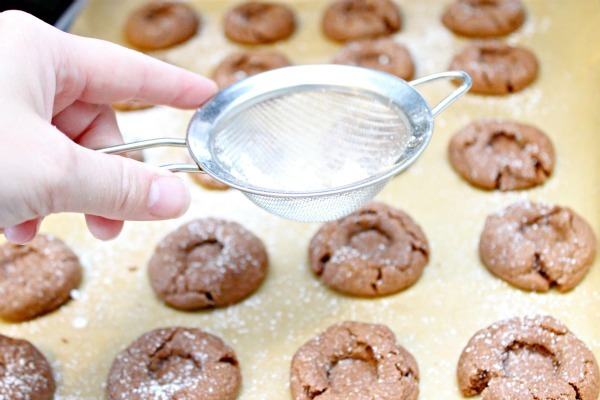 Beat 1 cup powdered sugar and butter at medium speed with an electric mixer until creamy. Add milk and vanilla, beating until blended. Combine flour, cocoa, and salt, gradually add to butter mixture, beating until blended. 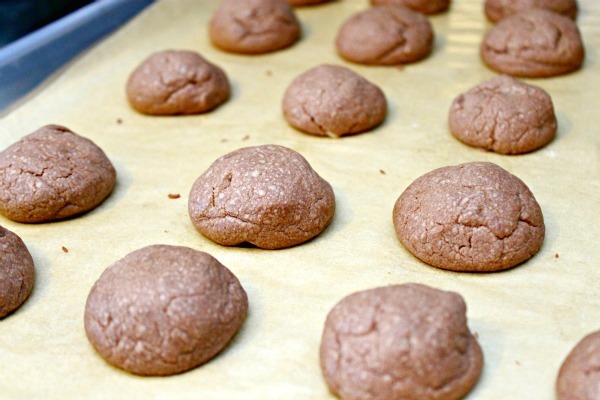 Shape dough into 1-inch balls, and place 1 1/2 inches apart on lightly greased cookie sheets. 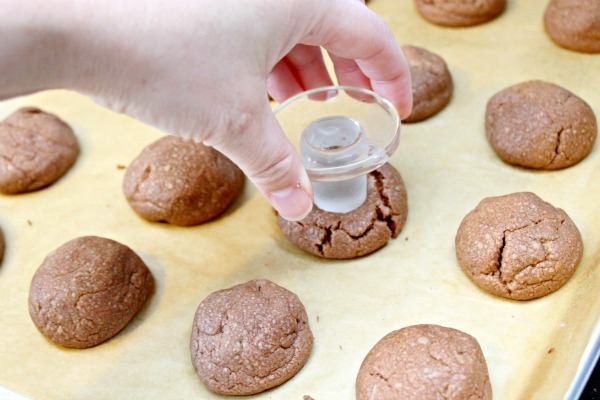 Bake at 400 degrees for 11 minutes or until the tops of the cookies just begin to crack. 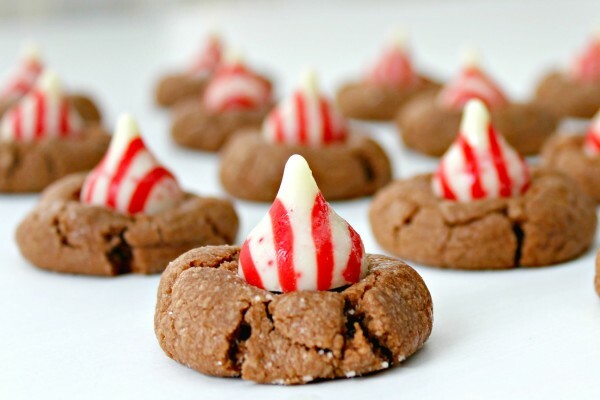 While on cookie sheet, make indention in the middle of the cookies for the Hershey’s Kisses Candy Cane Mint candies. DO NOT ADD HERSHEY’S KISSES CANDIES WHILE COOKIES ARE WARM. Sprinkle with remaining confectioner’s sugar. 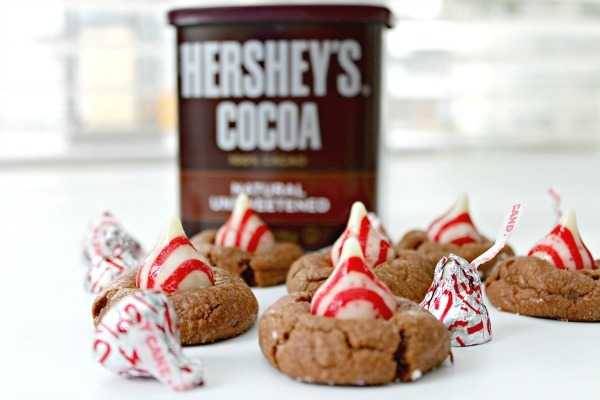 Let cookies completely cool before adding Hershey’s Kisses Candy Cane Mint candies.